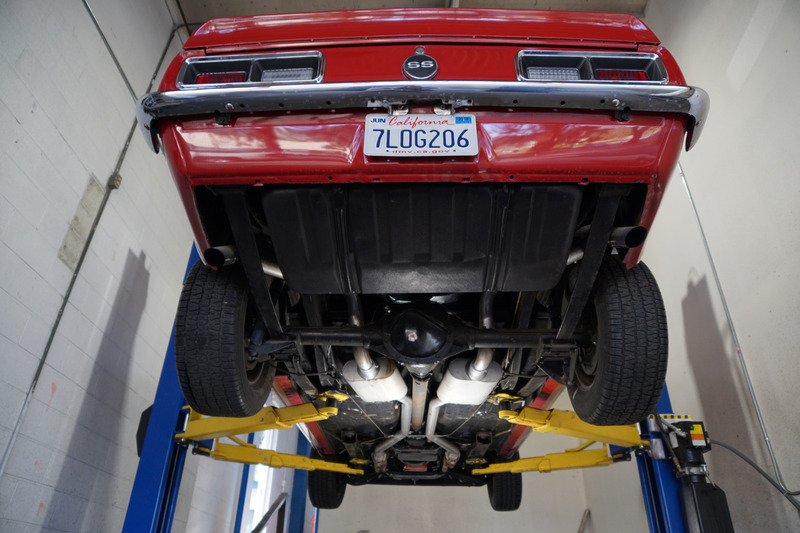 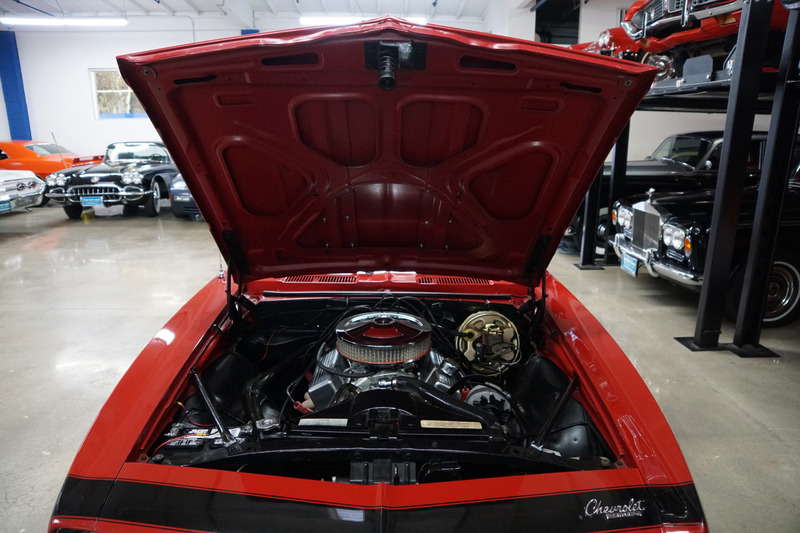 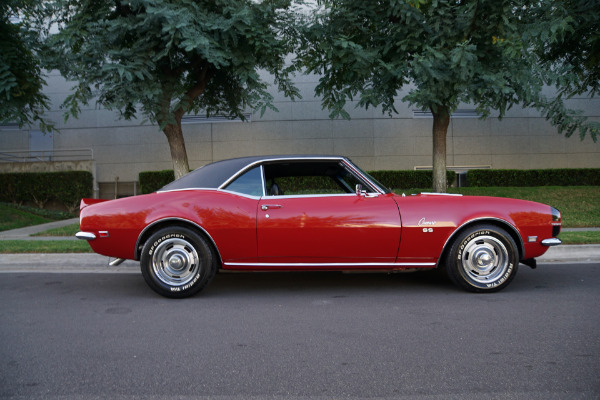 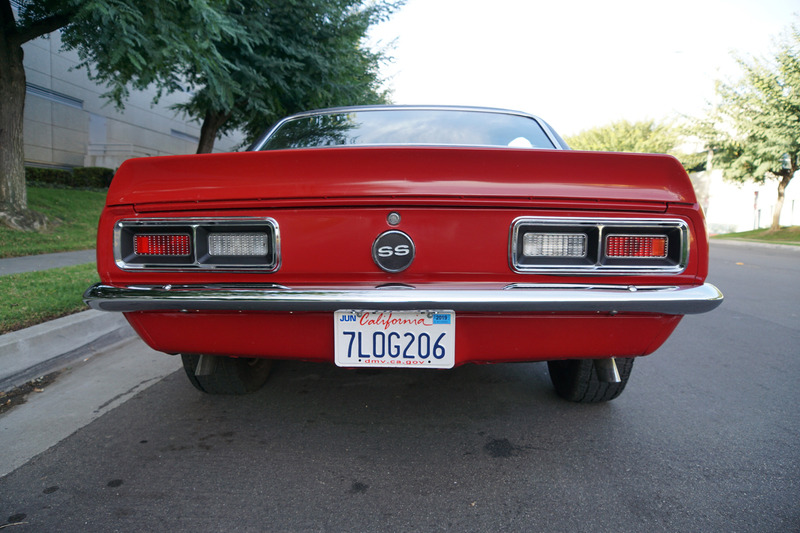 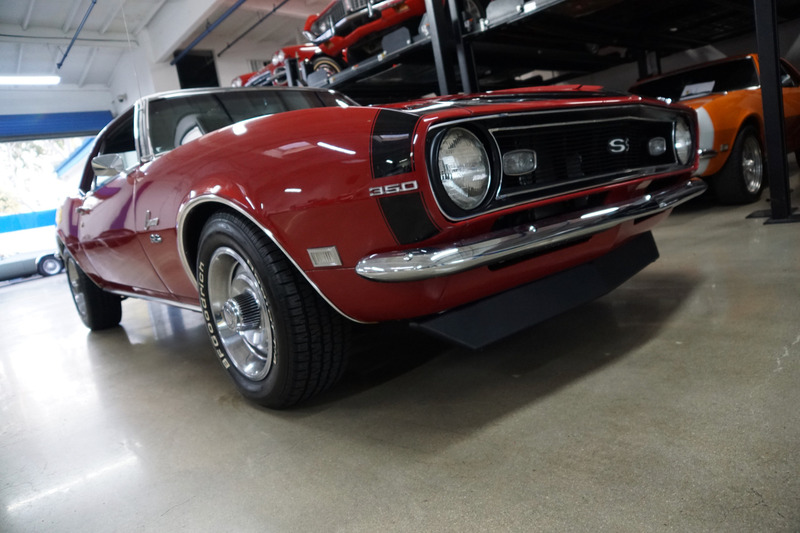 West Coast Classics are proud to present a beautiful example of this frame off restored with no expense spared all American classic muscle car - a 1968 Chevrolet Camaro SS 350 4BBL V8 2 Door Hardtop with factory Rally wheels mounted on BF Goodrich Radial T/A P215/65R15 tires and Power Steering in Red with a Black vinyl roof and matched to it's original Black color Standard Bucket Seat interior with a center console and a Powerglide automatic transmission and with a 10 bolt rear end with mono-leaf suspension and which was recently finished at the renown 'Bel Air Ranch Restoration' shop, street rod and Chevy restoration specialists of Buellton, Santa Barbara County, CA. 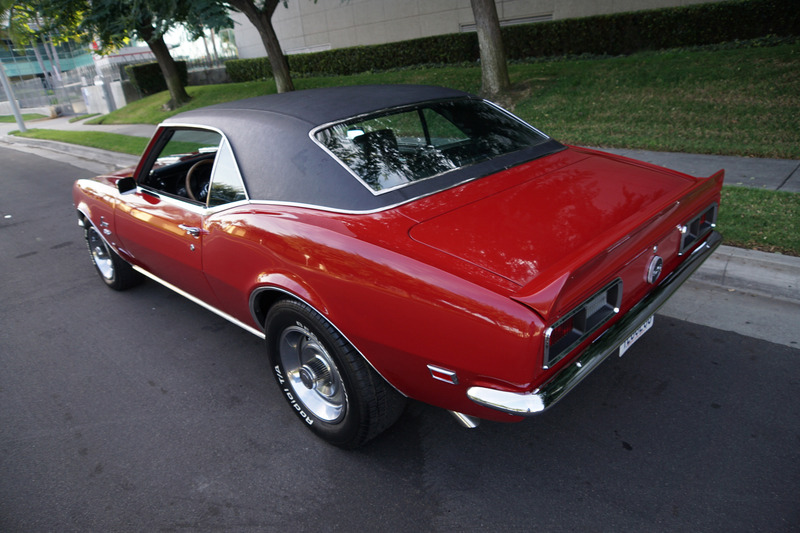 This is obviously one very fine example of this classic American muscle car - a beautiful 1968 Chevrolet Camaro Super Sport 350 V8 with a rebuilt engine that purrs smoothly under the hood and an automatic transmission that shifts smoothly through all the gears - an absolute pleasure to drive without any of the older and generally much higher mileage Camaro typical shakes or rattles - a truly remarkable daily driver that will give any modern day sports car a run for its money. 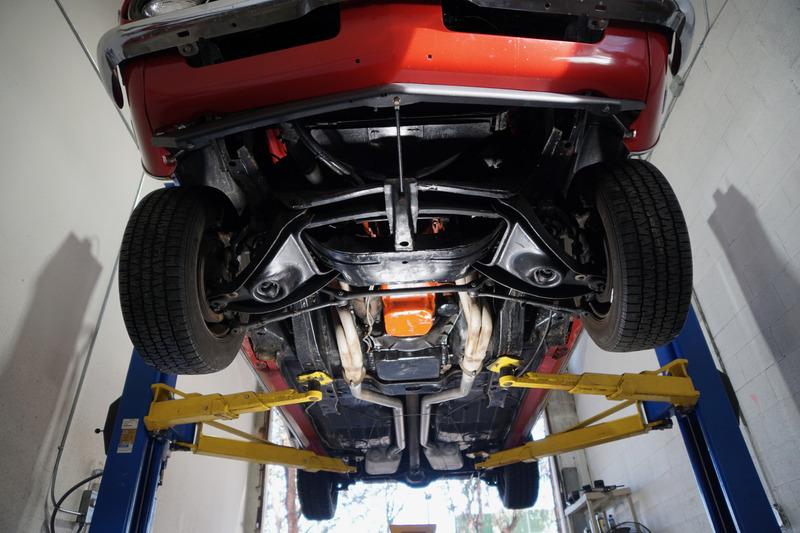 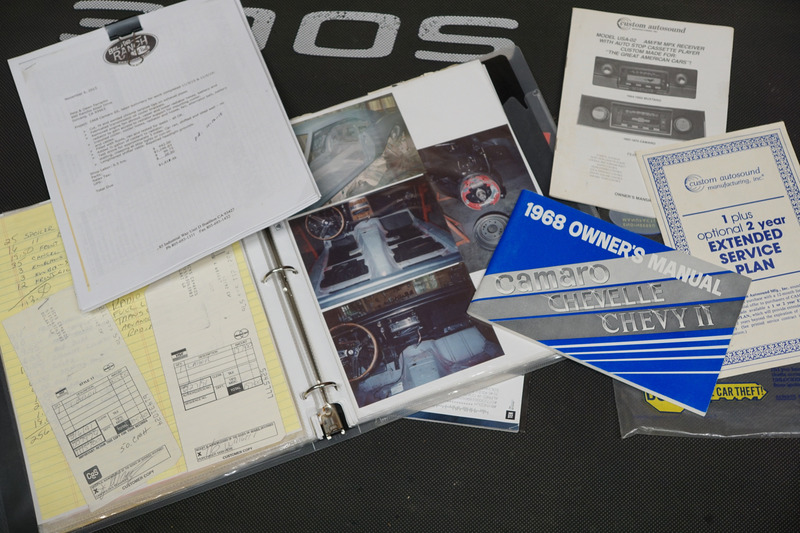 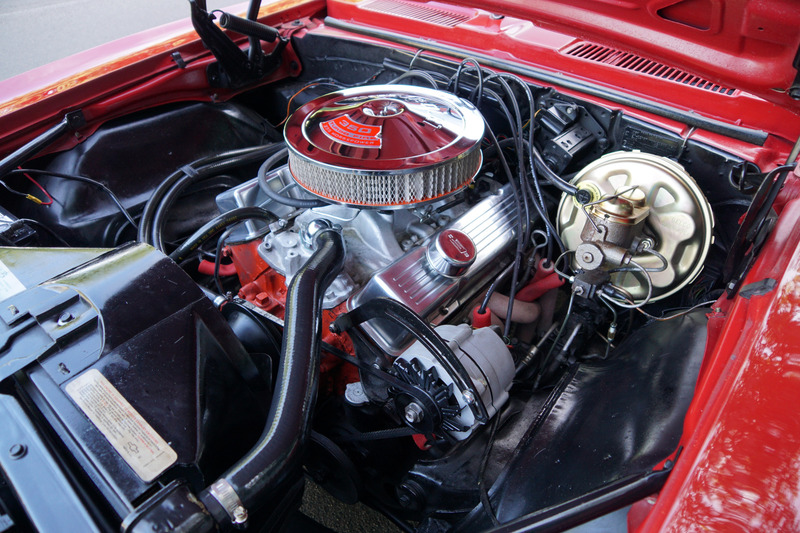 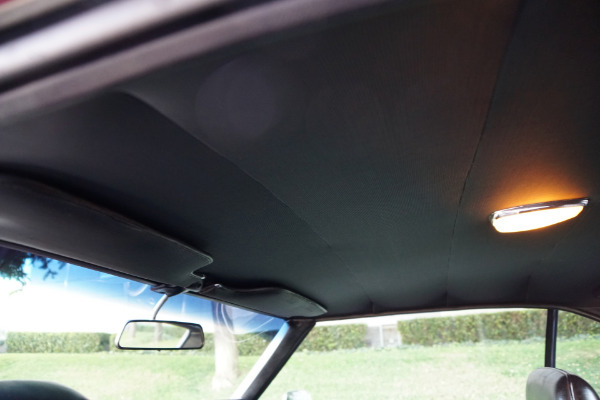 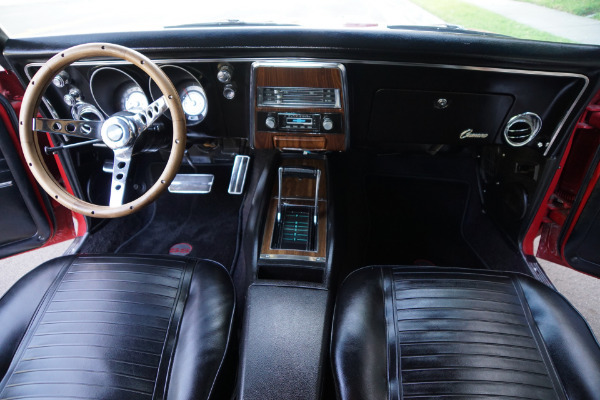 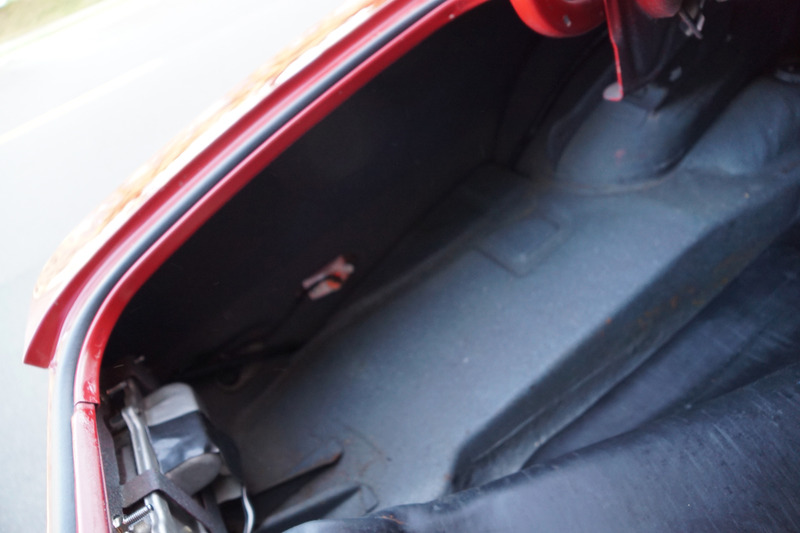 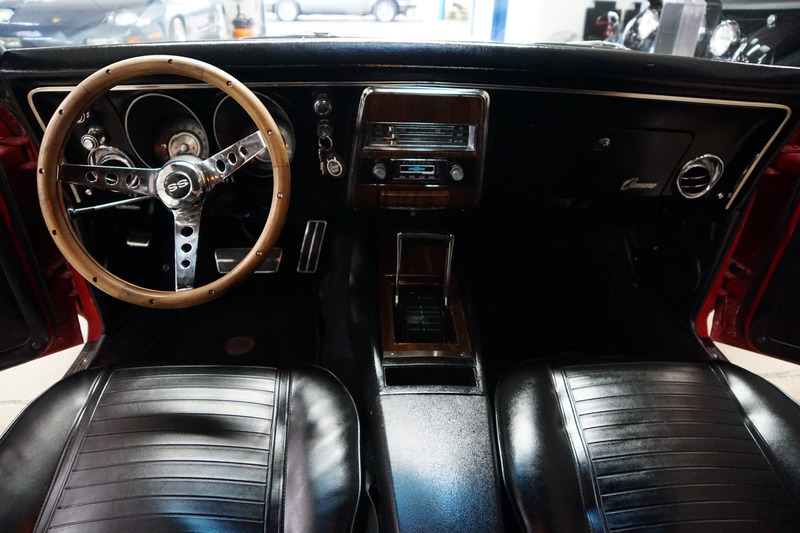 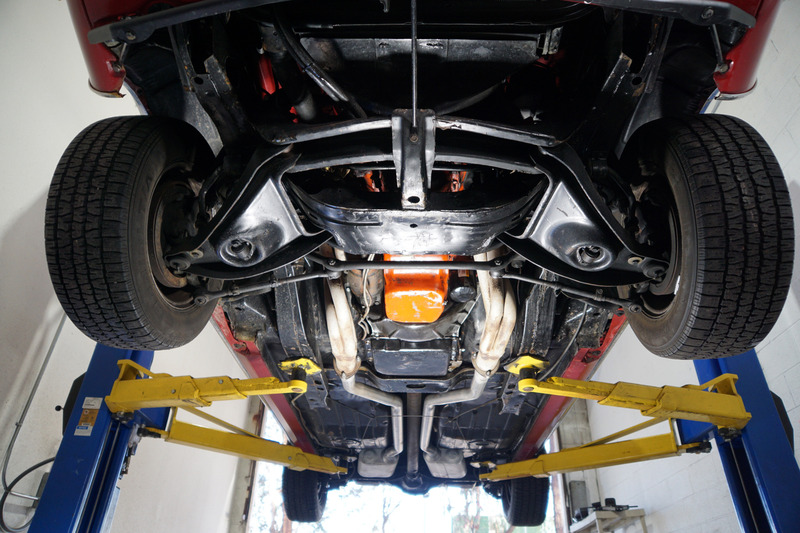 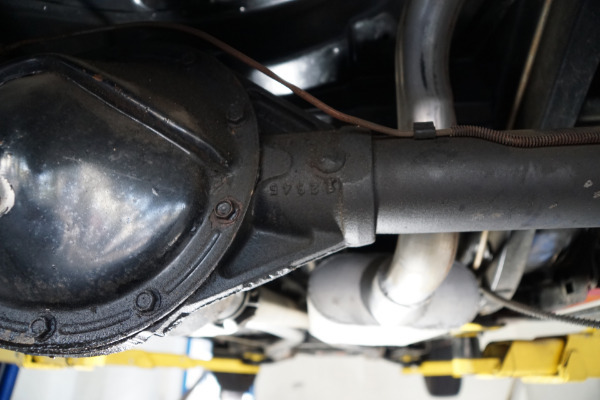 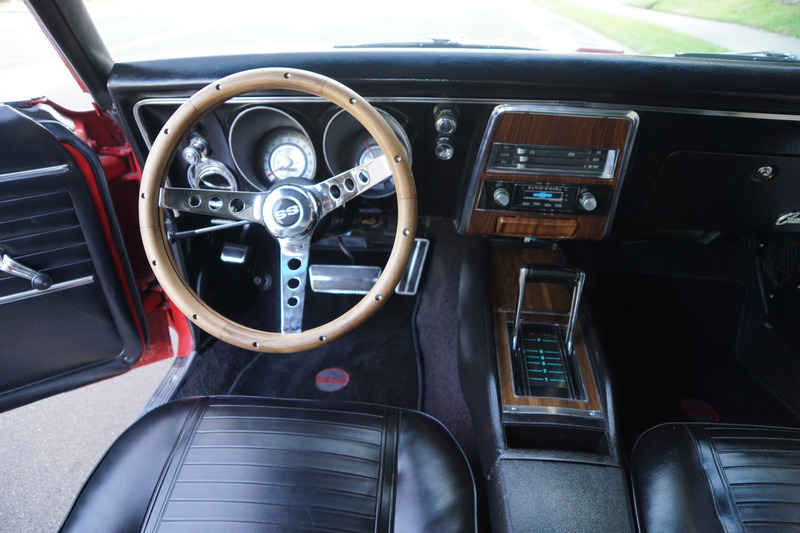 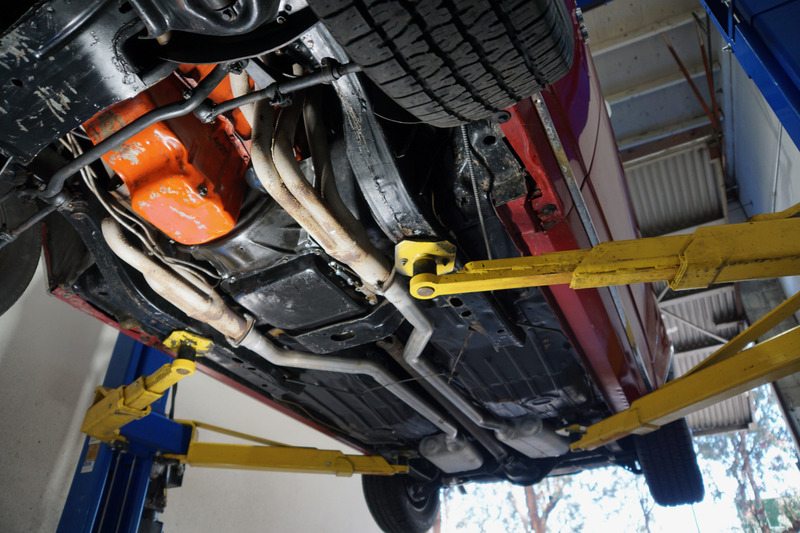 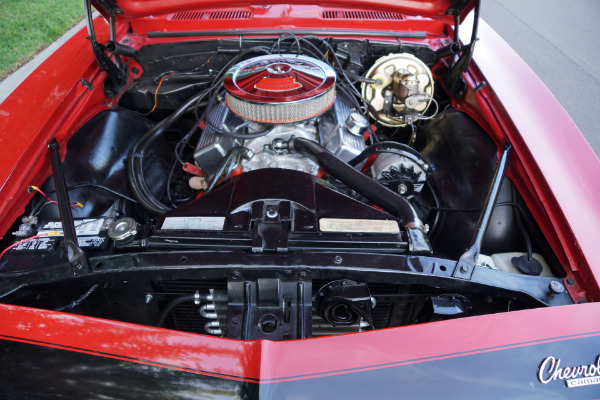 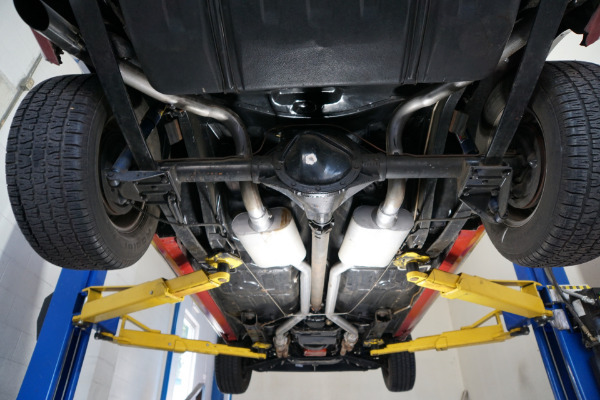 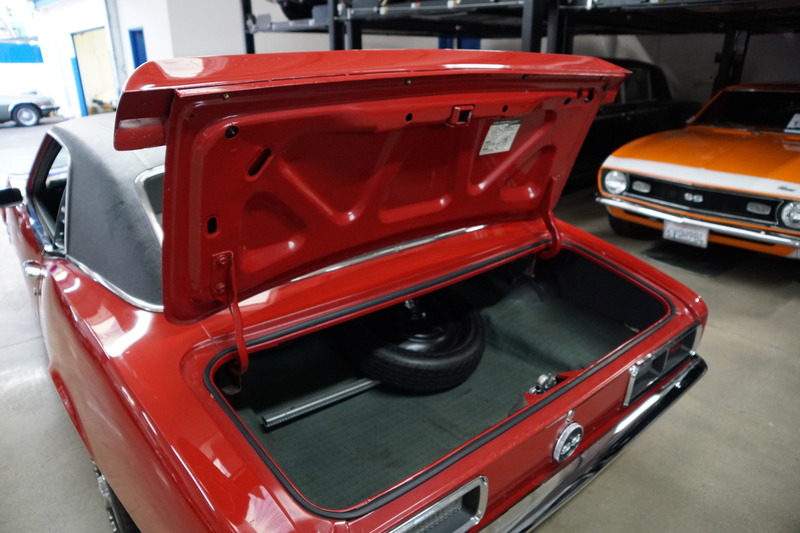 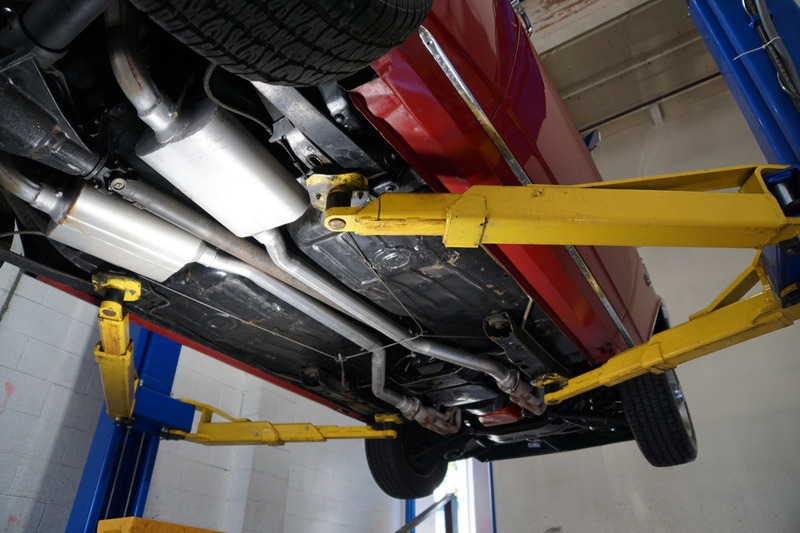 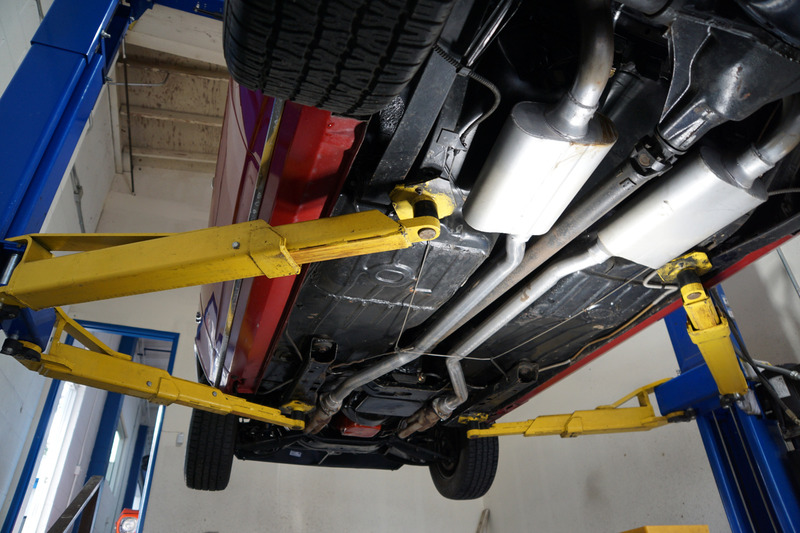 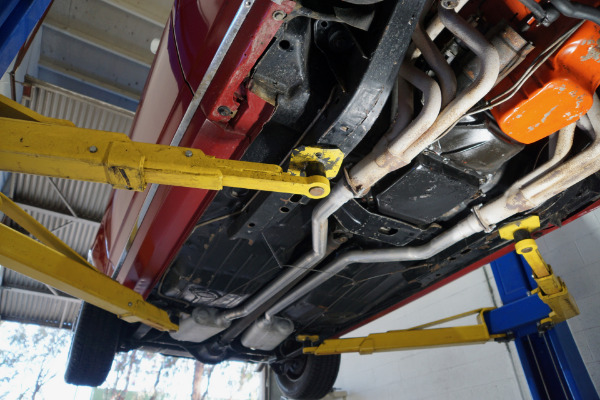 The most recent owner kept records of the car's extensive recent maintenance and pictures of the frame off restoration showing many, many thousands of dollars spent. 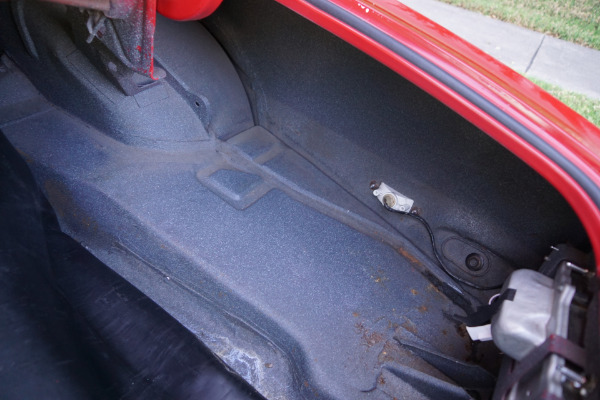 No required or even suggested recent repair or maintenance was denied this particular car! 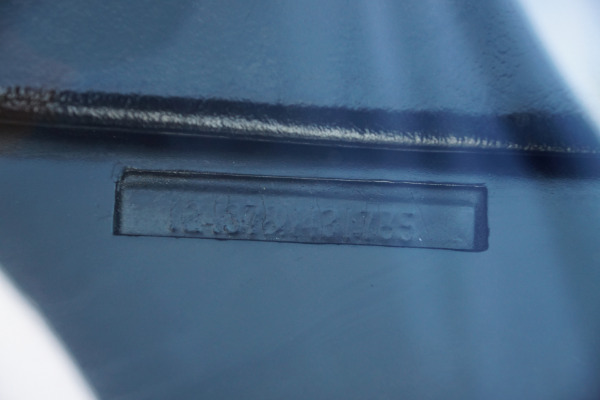 Please note that as typically happens over the years, the block was obviously previously decked by the machine shop during the engine rebuild and the engine assembly date and suffix codes were therefore unfortunately removed by the machining process and we are therefore unable to confirm whether or not the engine is original to the car. 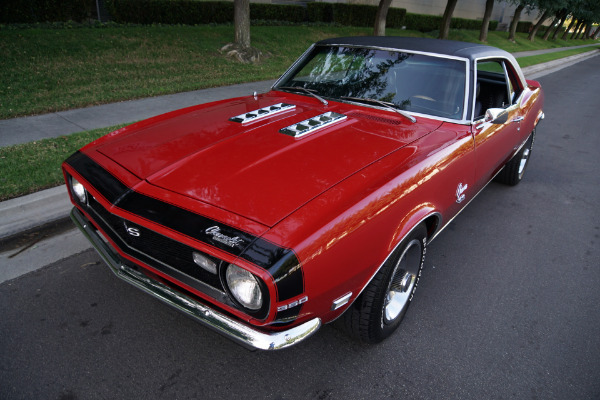 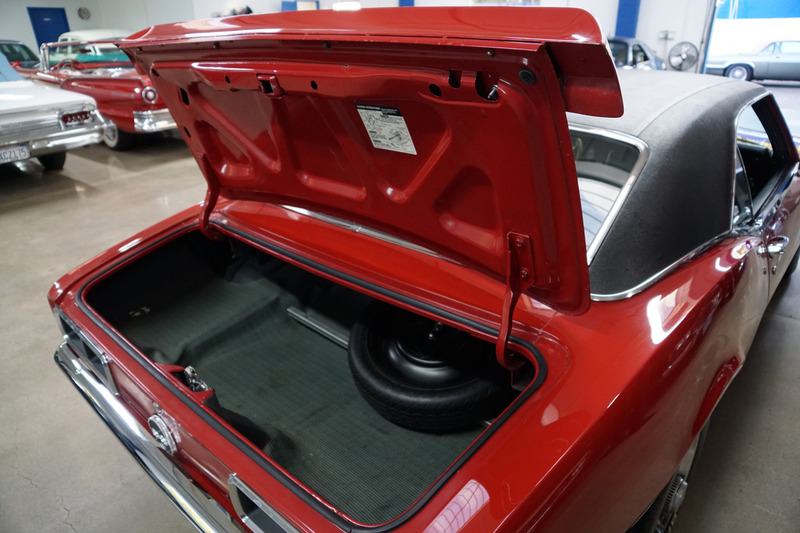 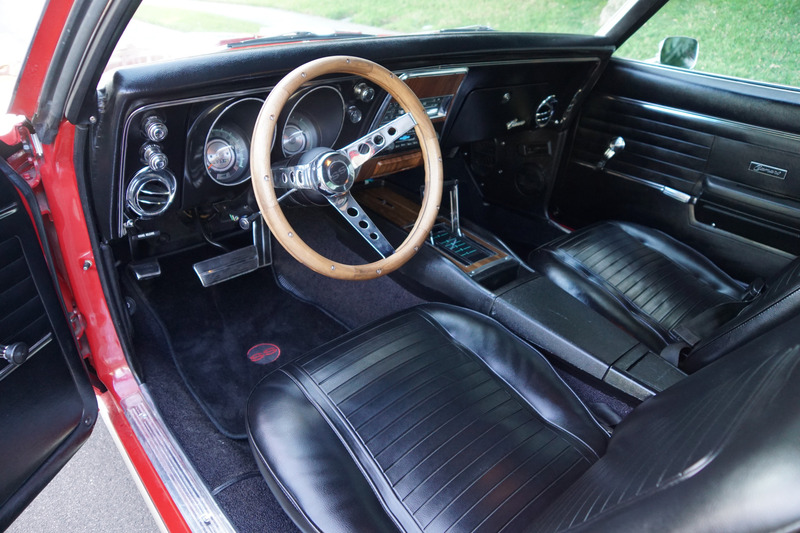 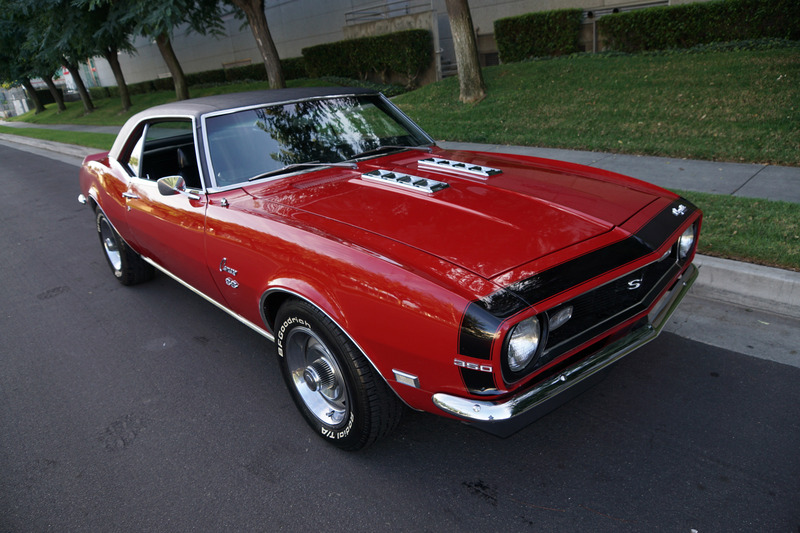 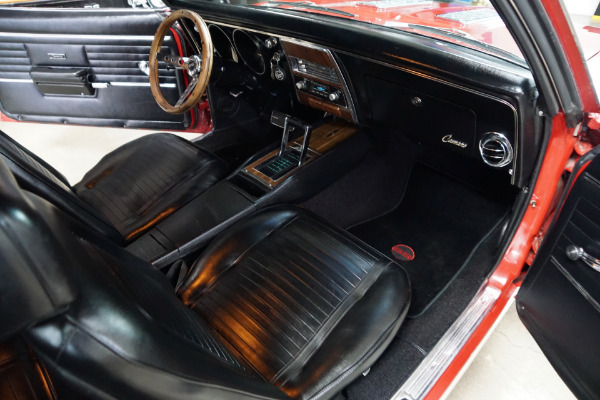 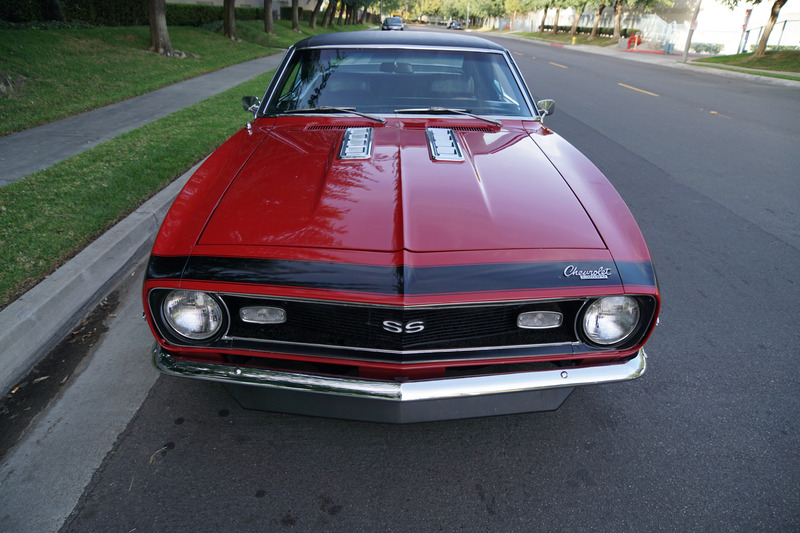 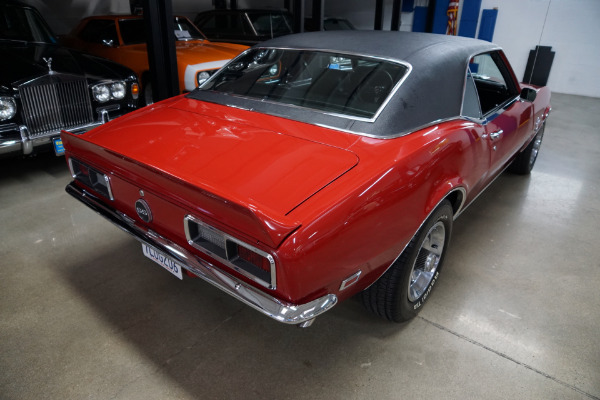 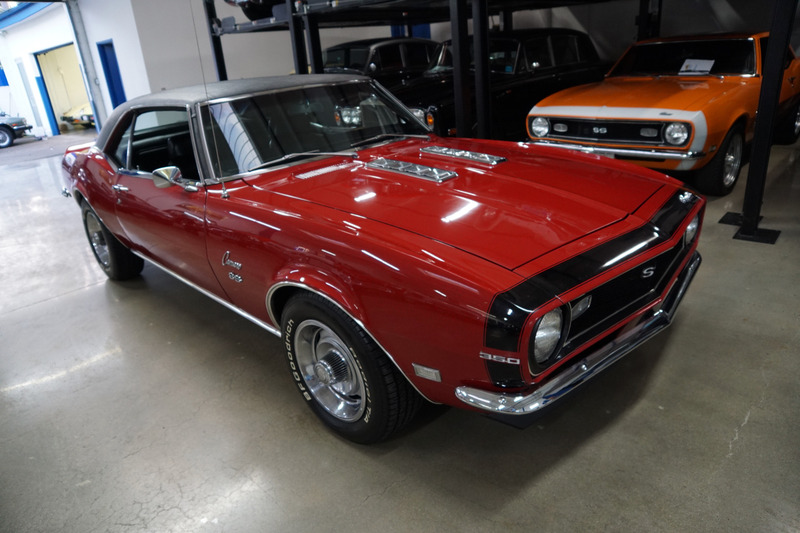 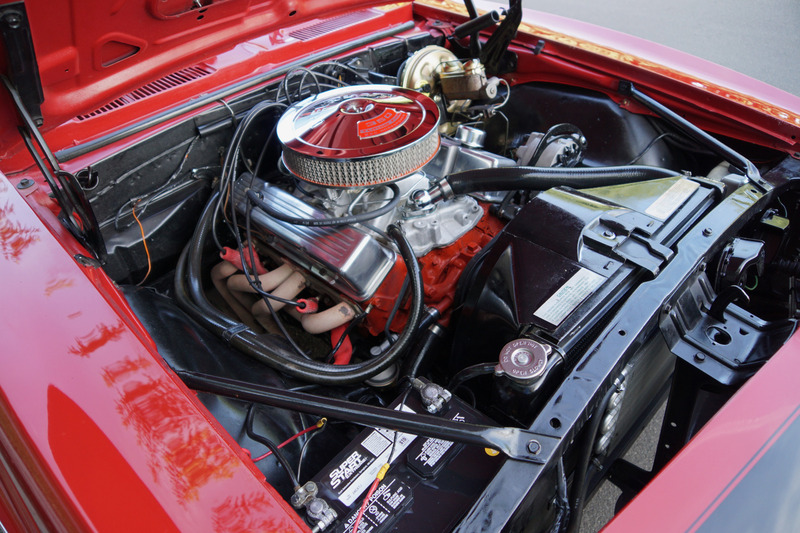 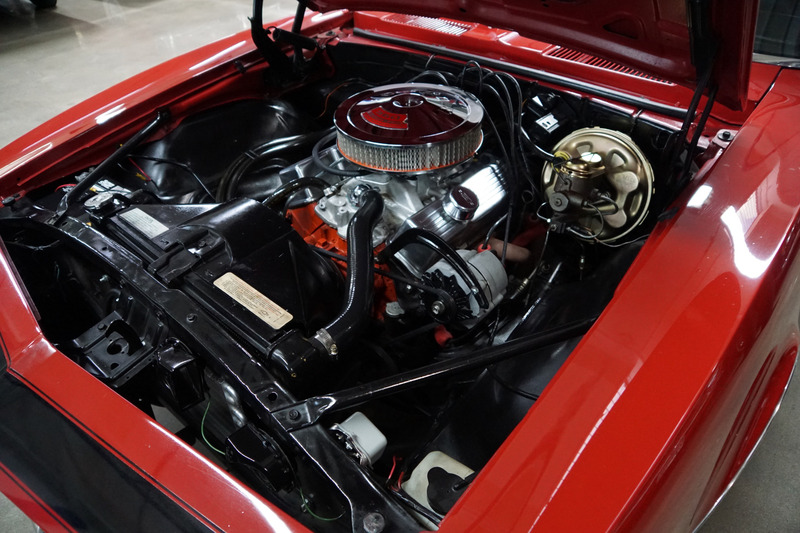 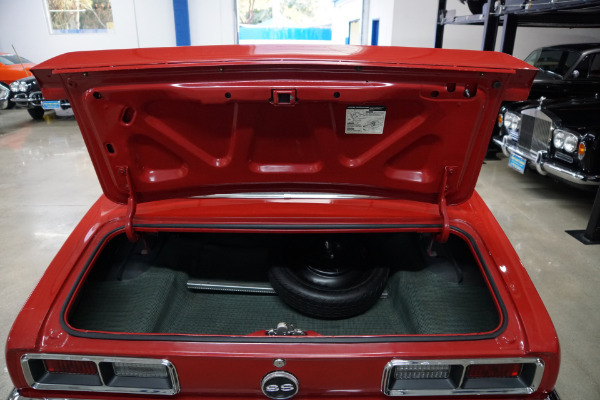 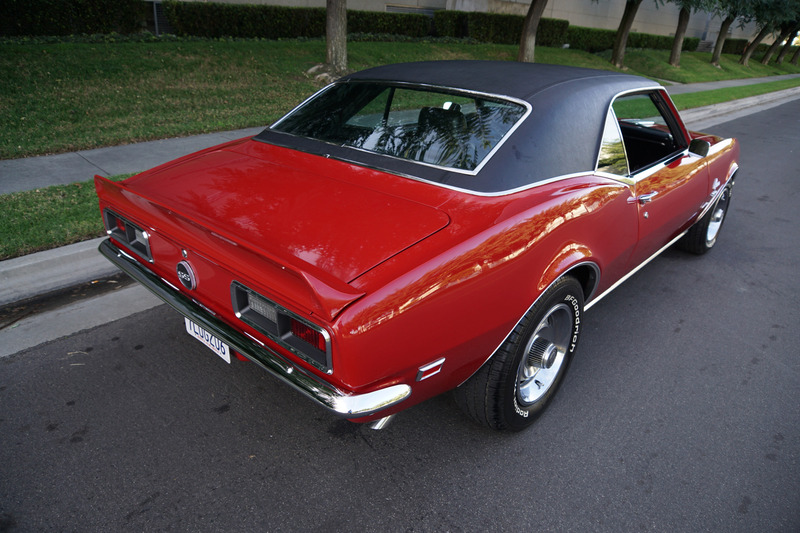 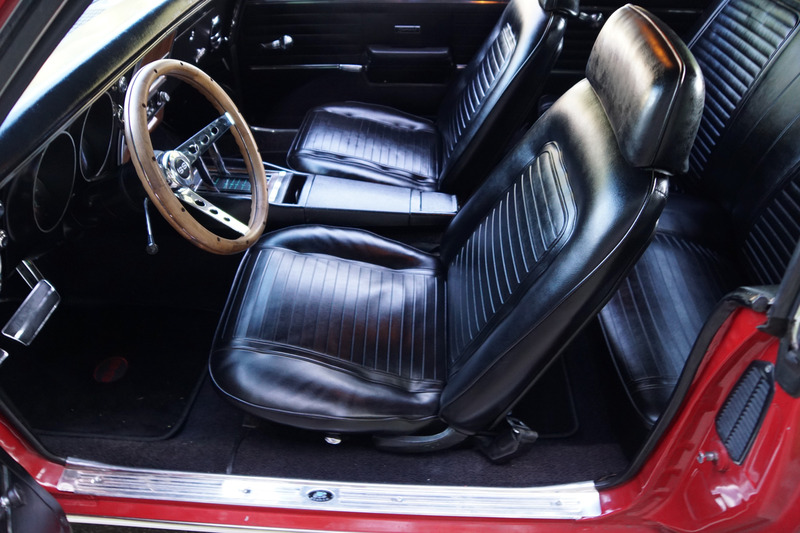 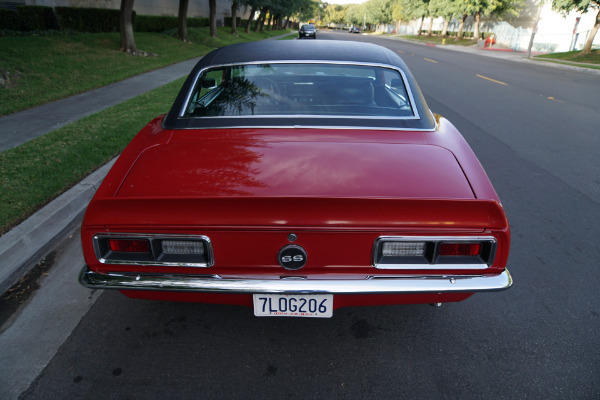 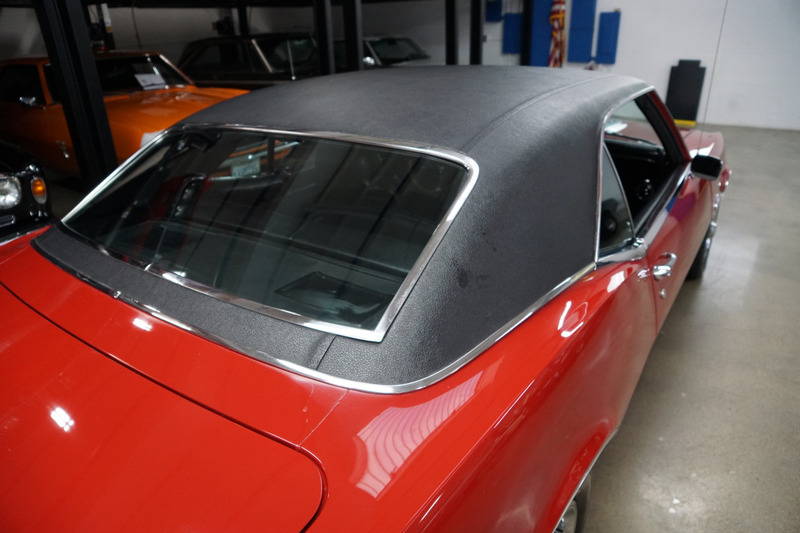 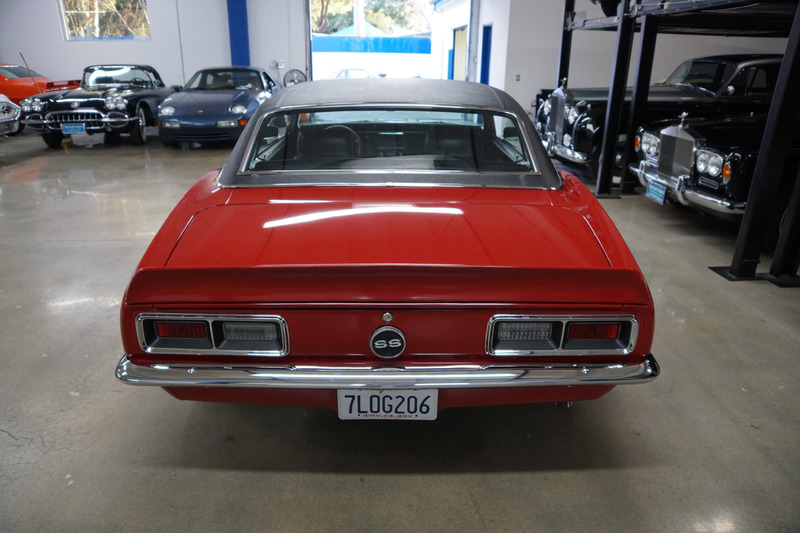 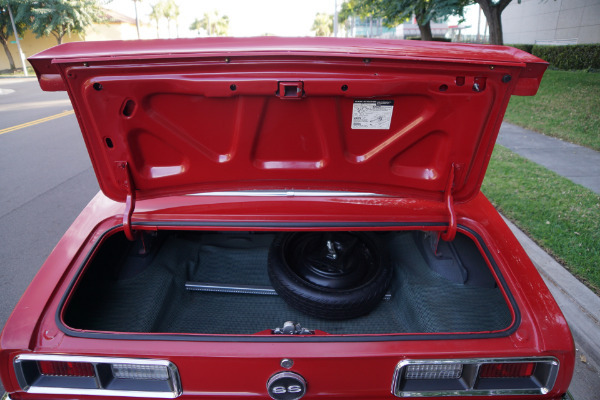 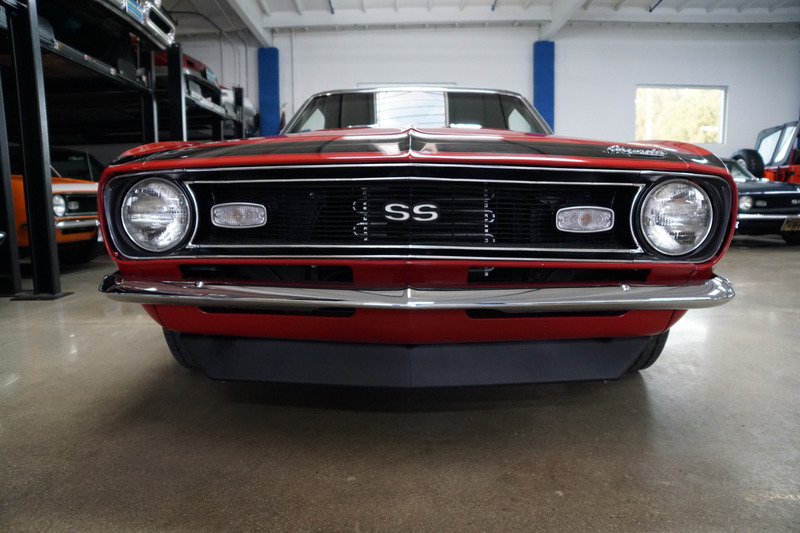 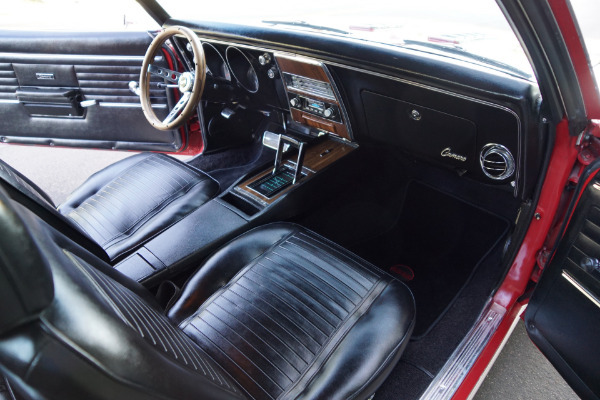 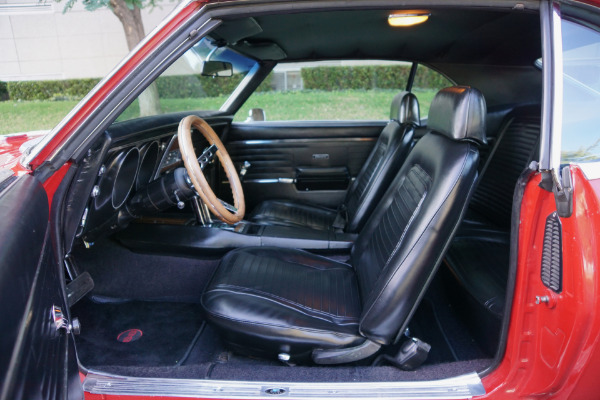 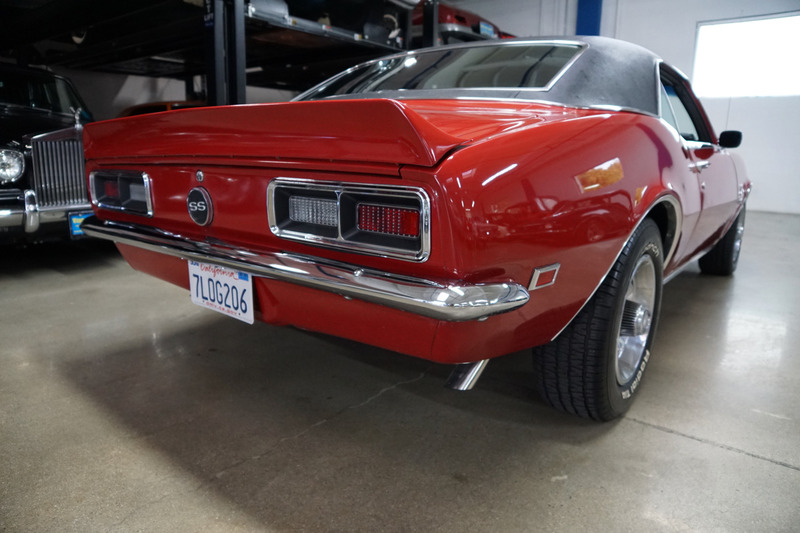 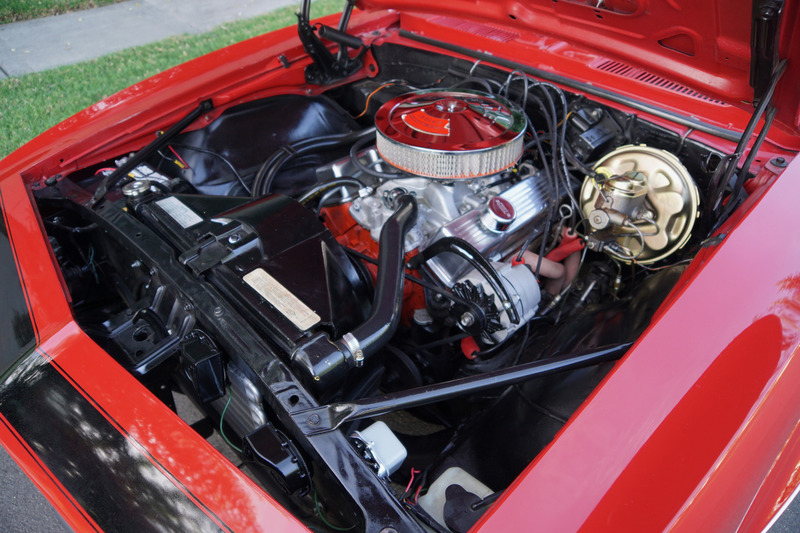 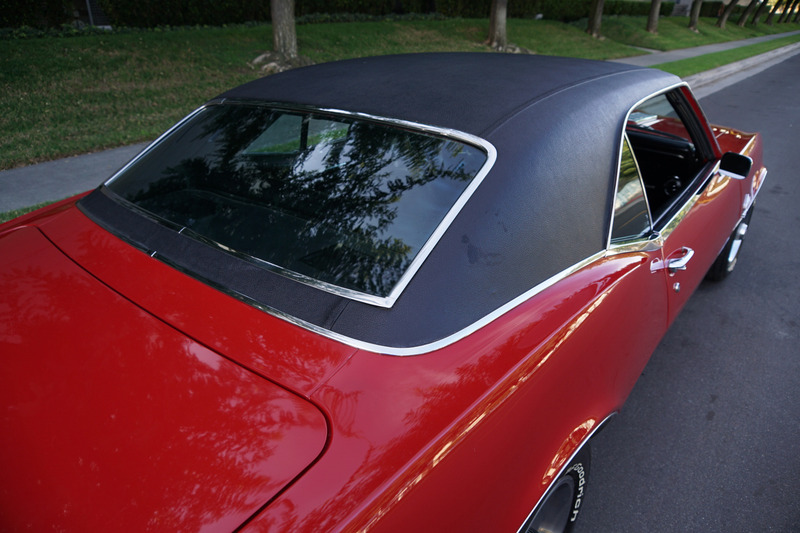 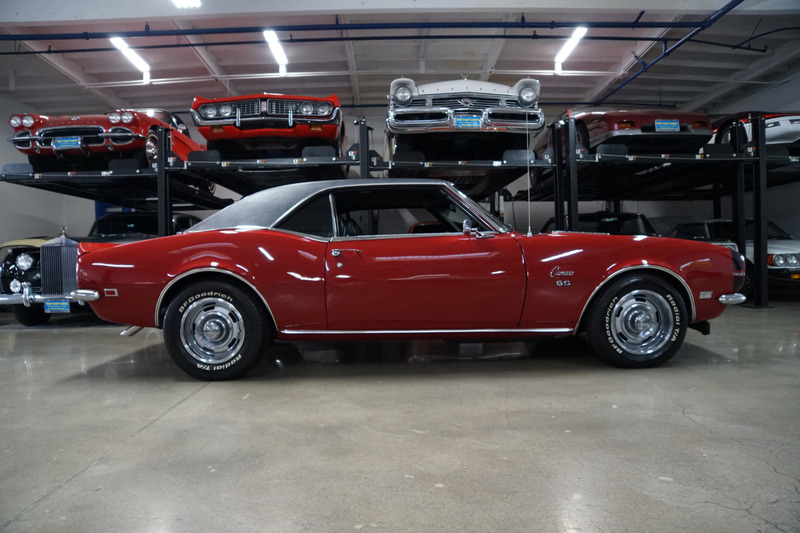 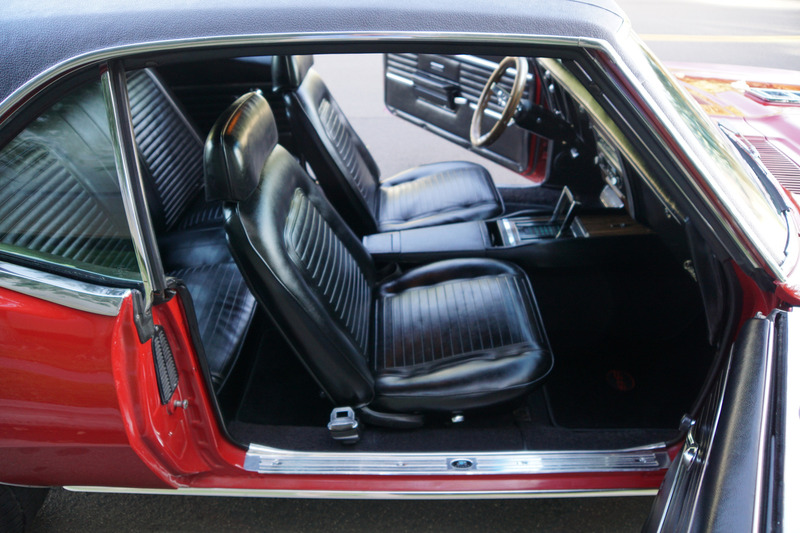 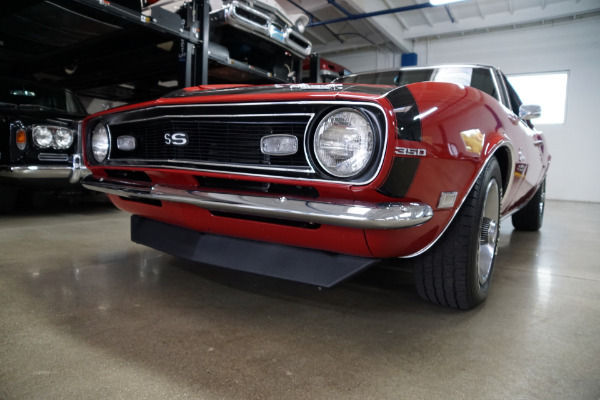 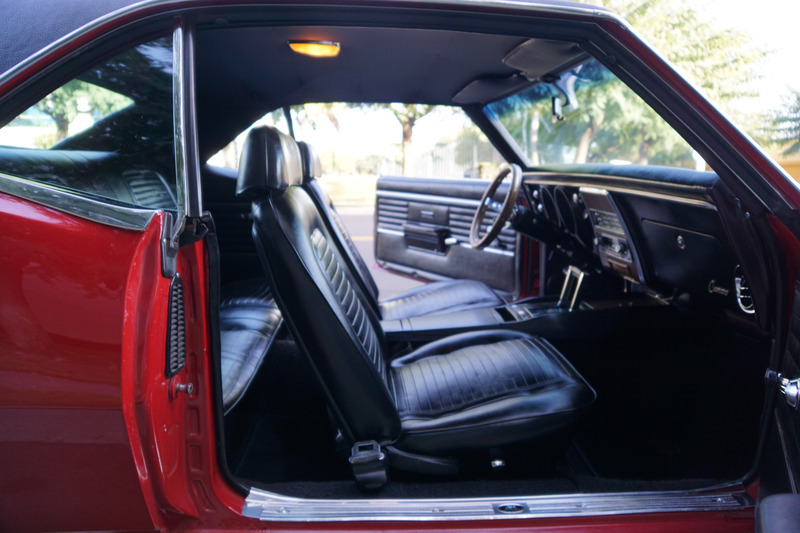 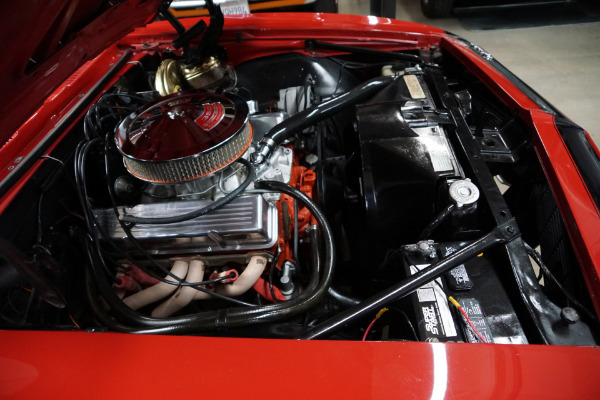 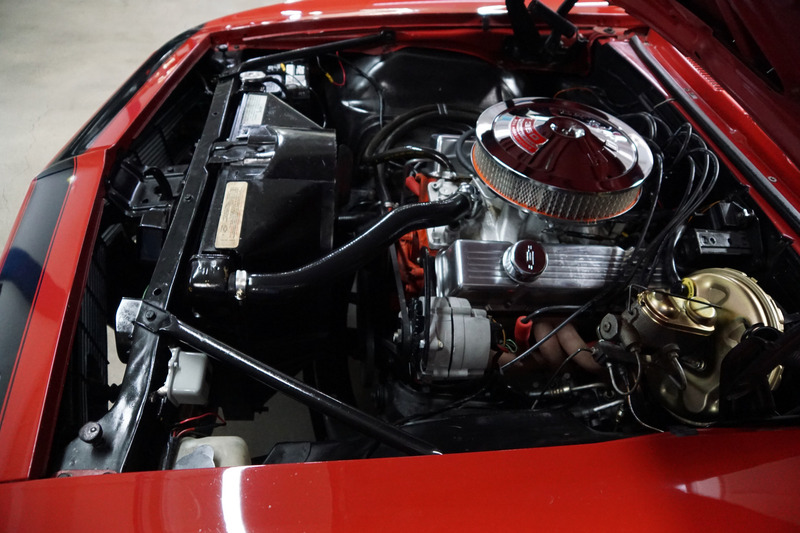 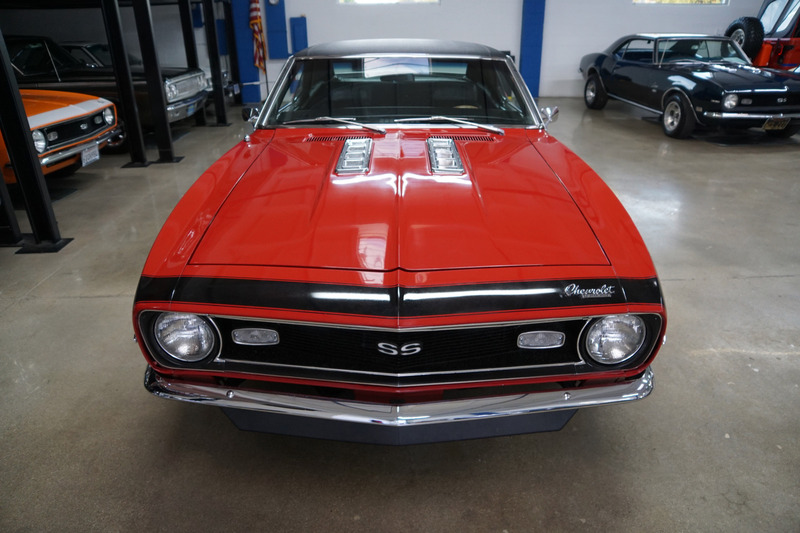 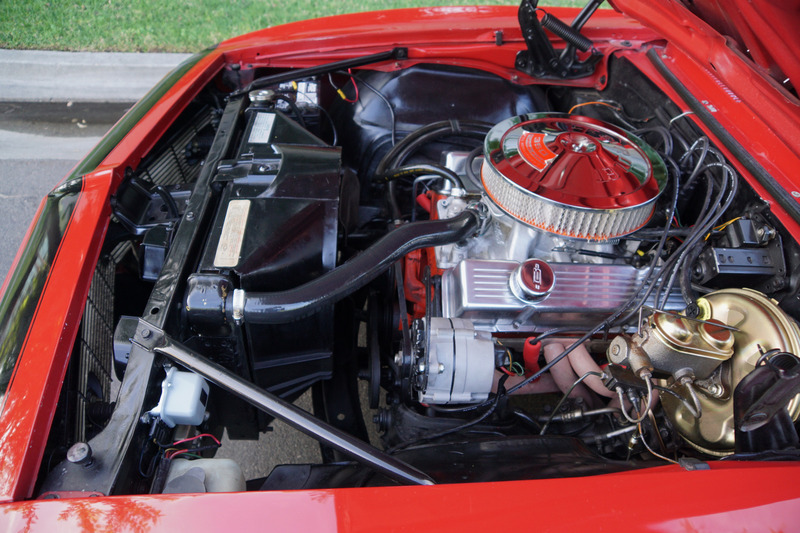 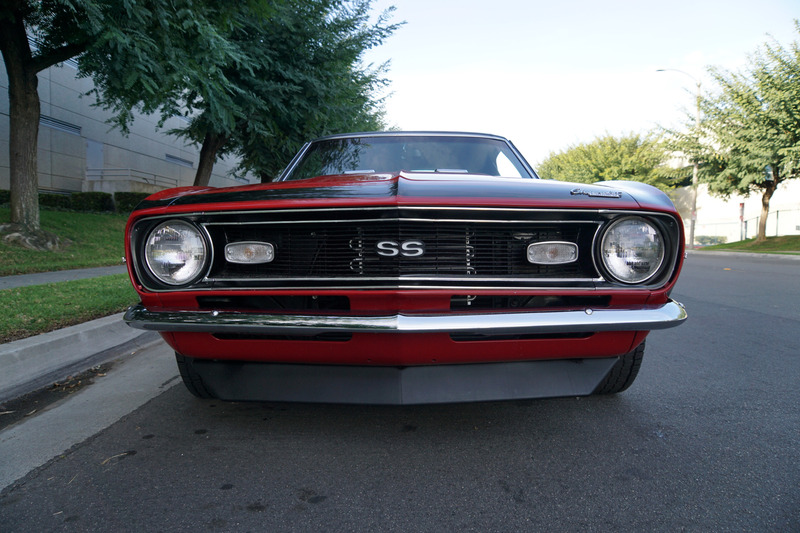 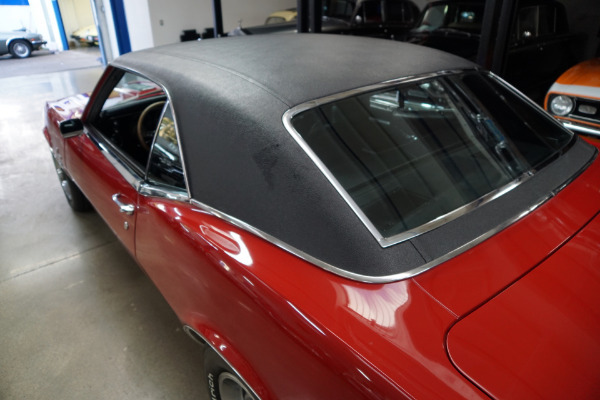 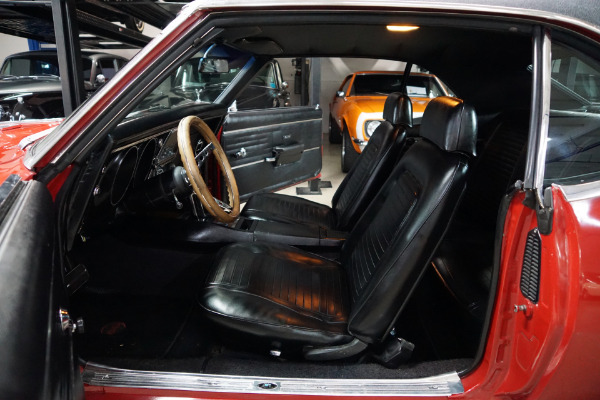 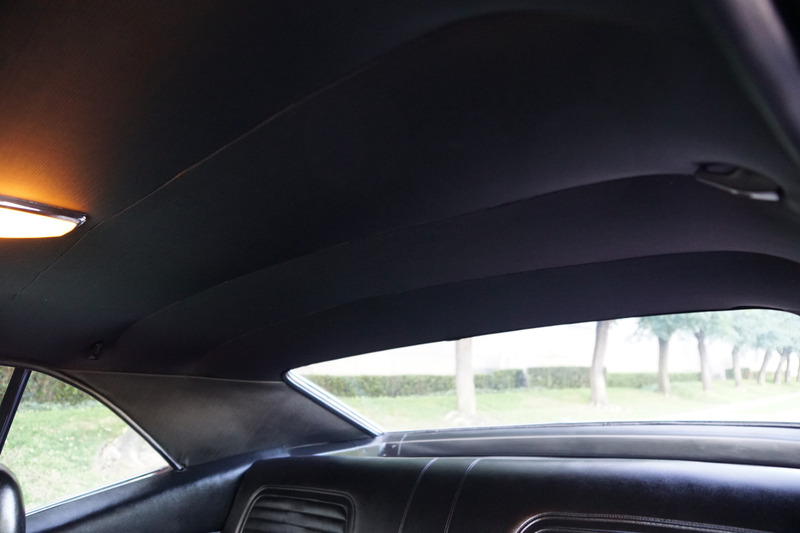 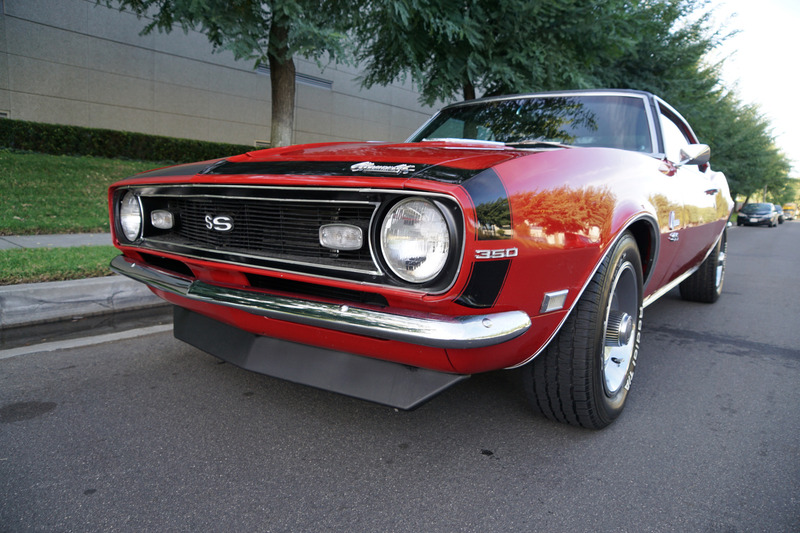 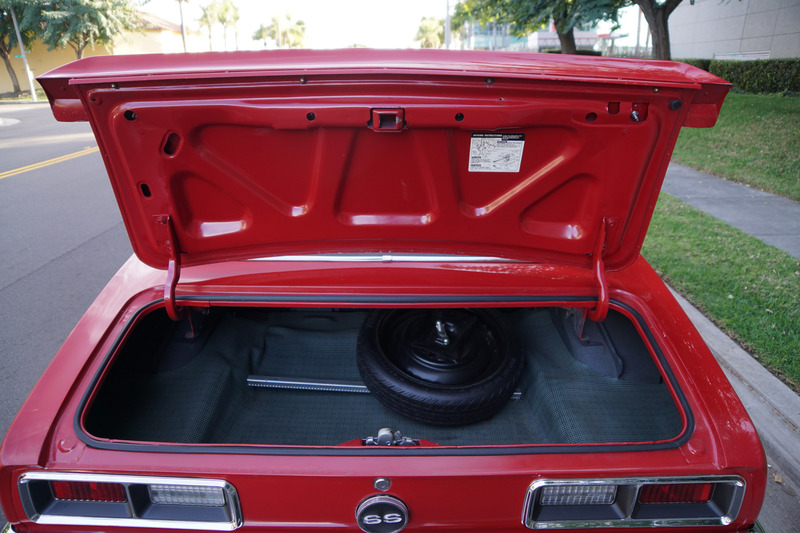 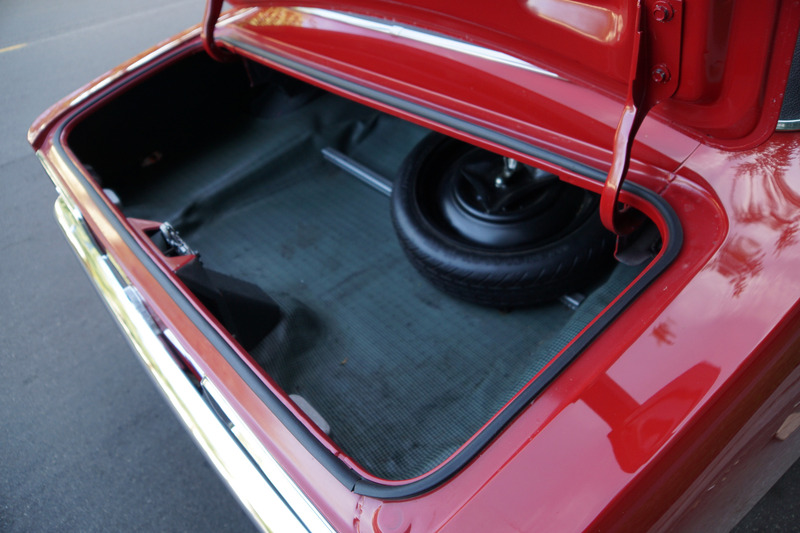 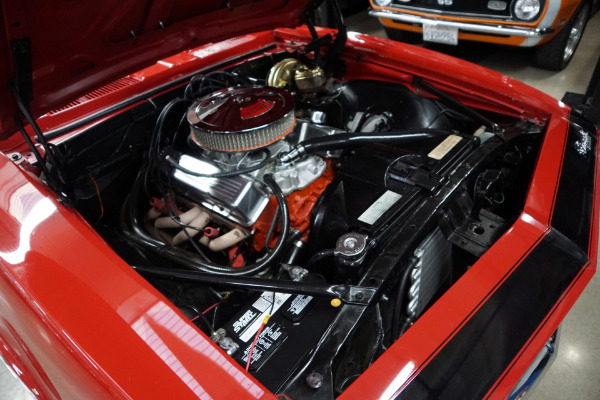 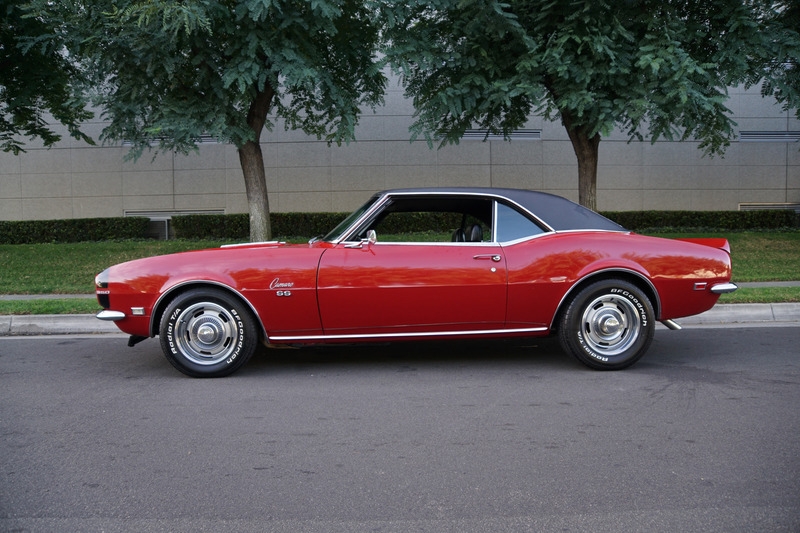 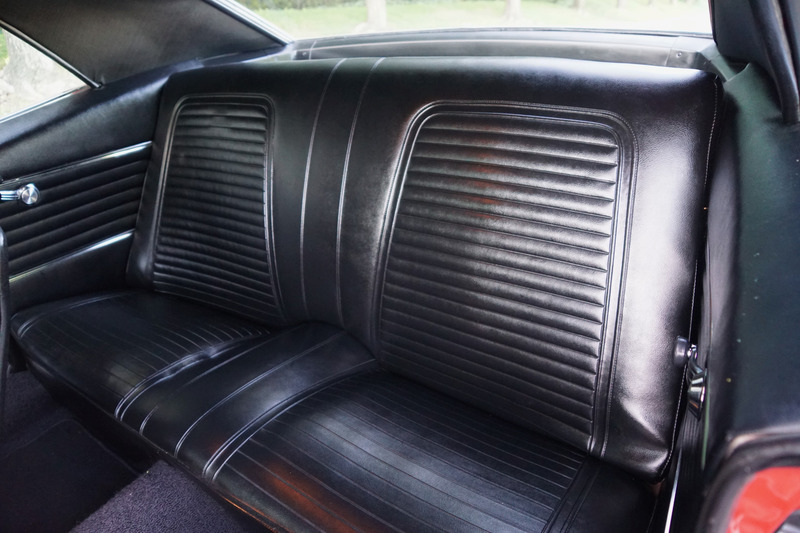 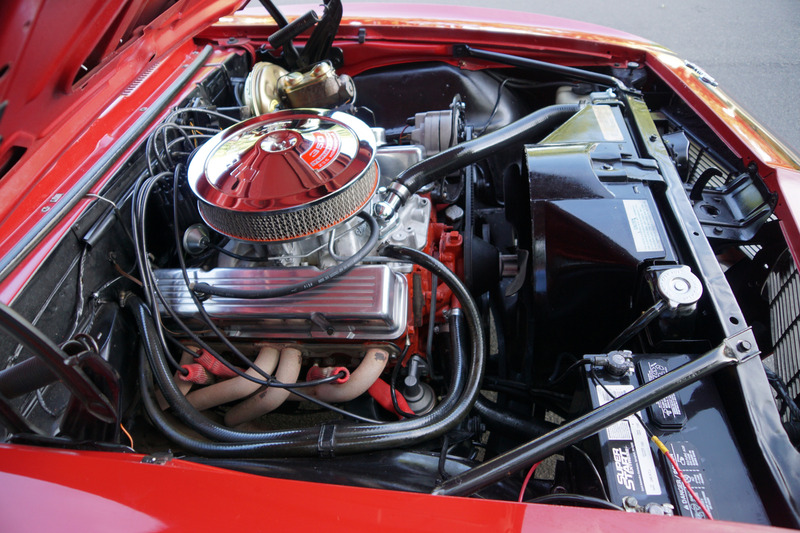 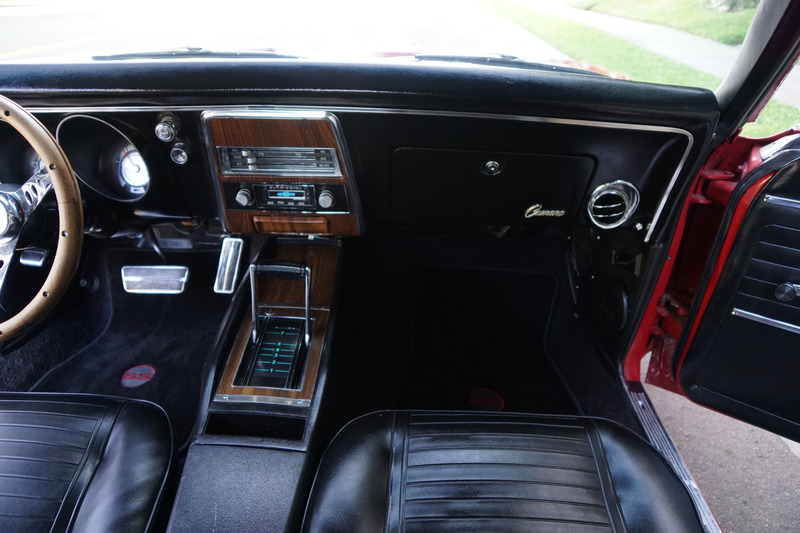 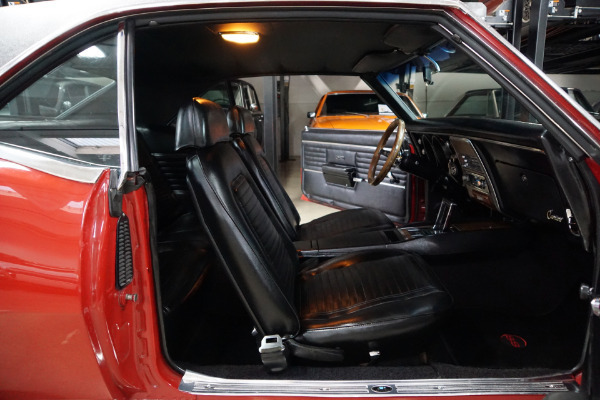 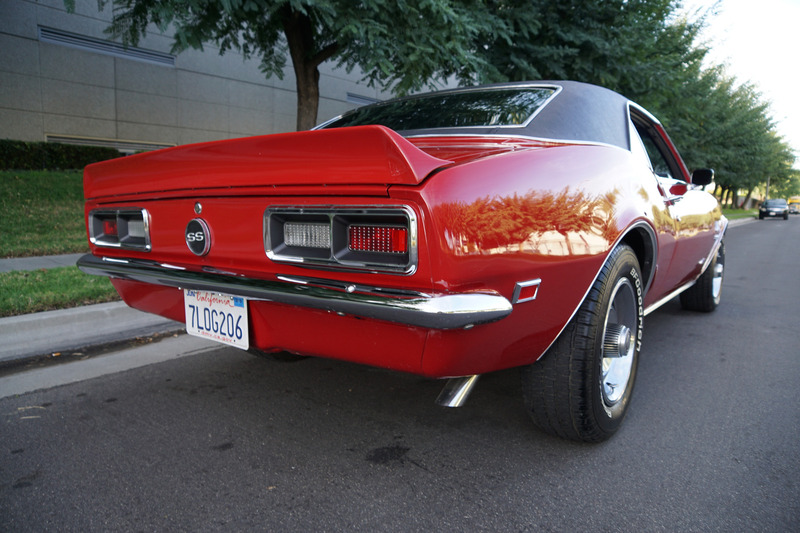 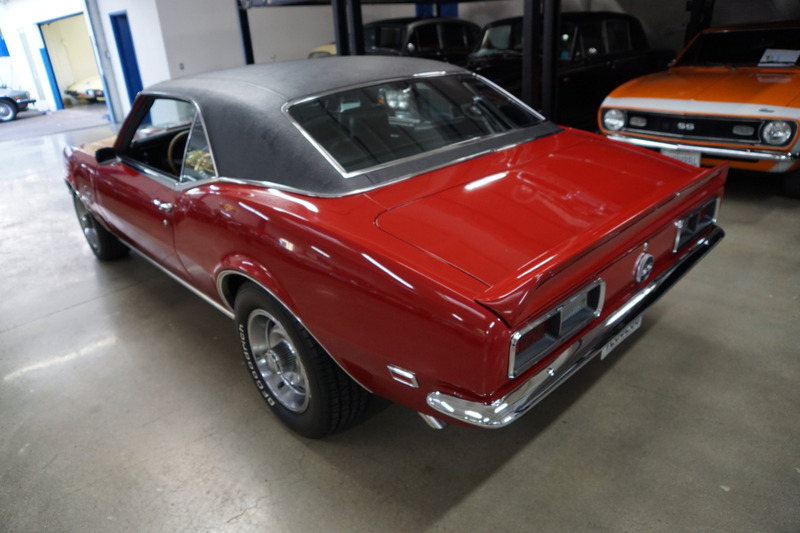 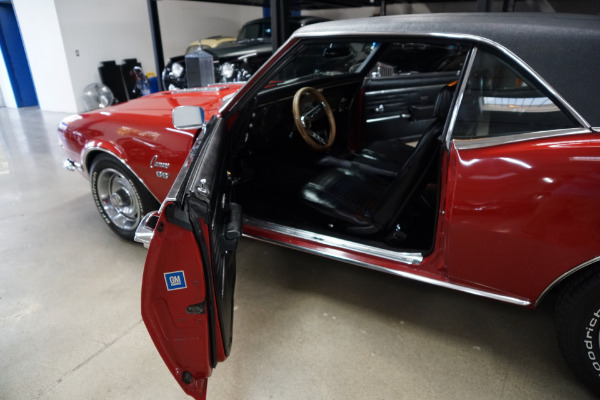 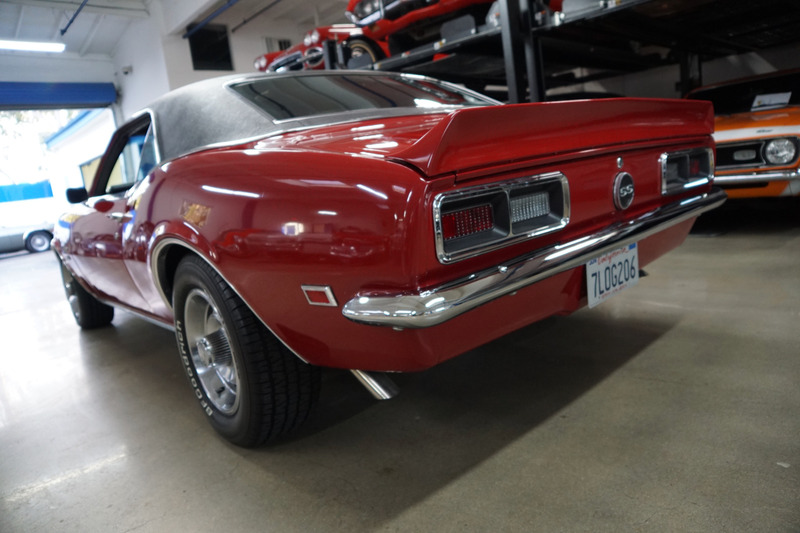 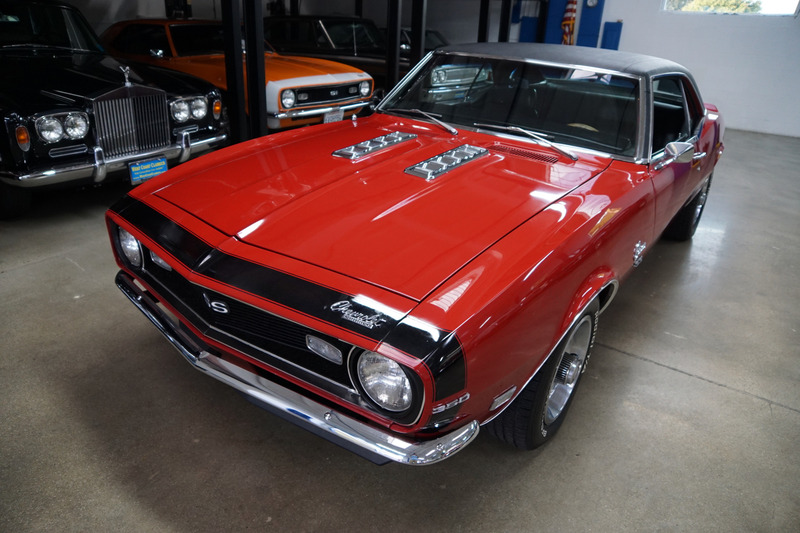 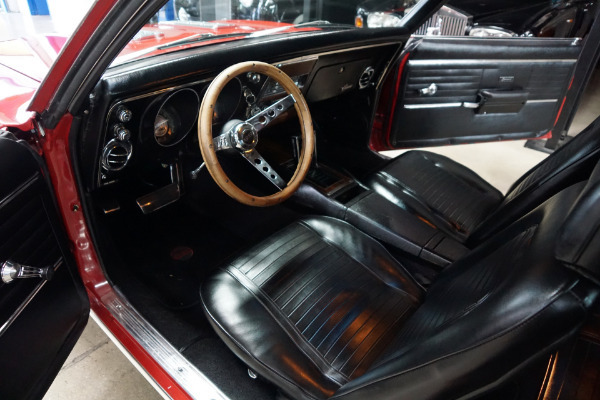 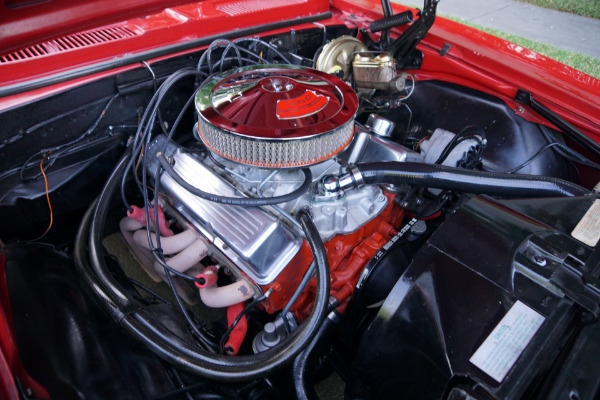 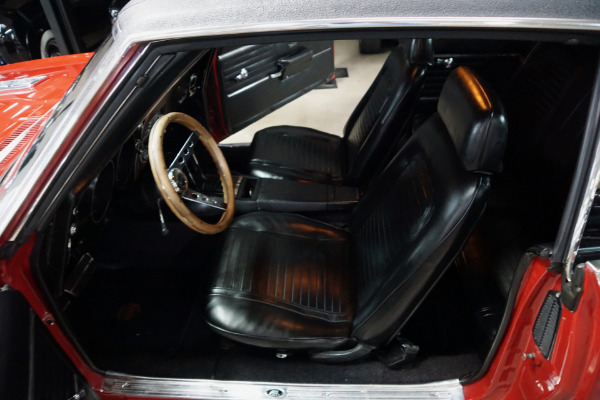 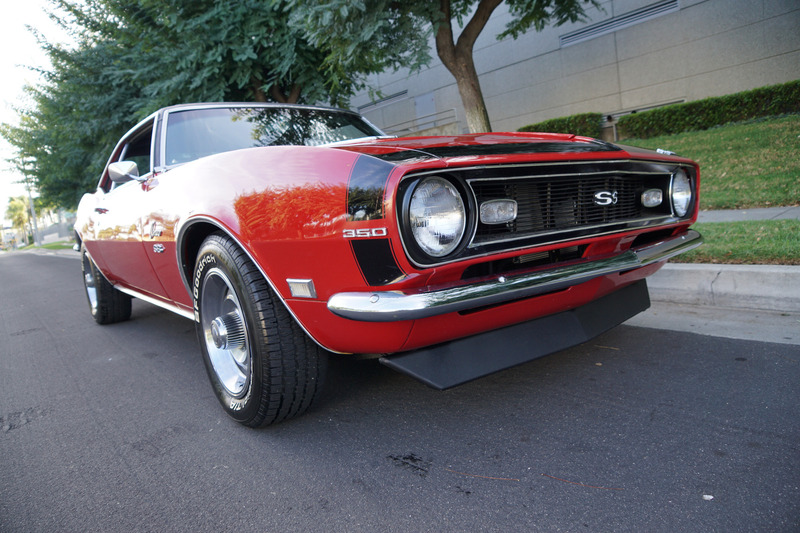 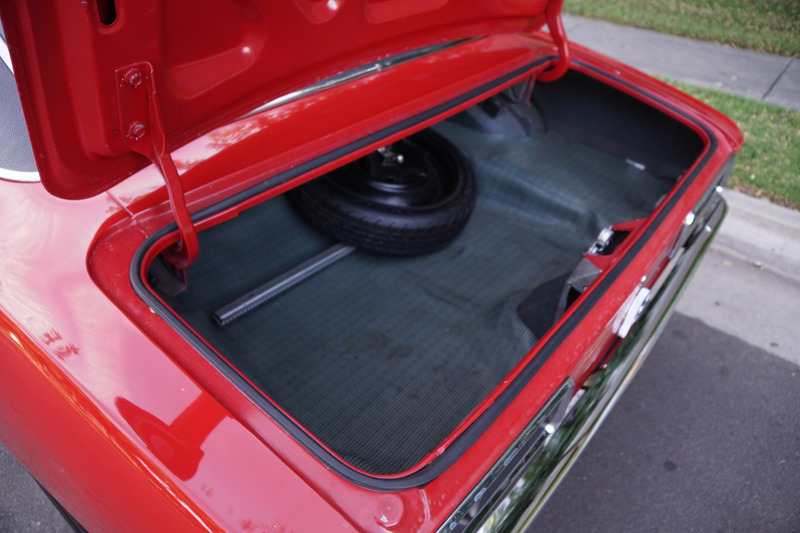 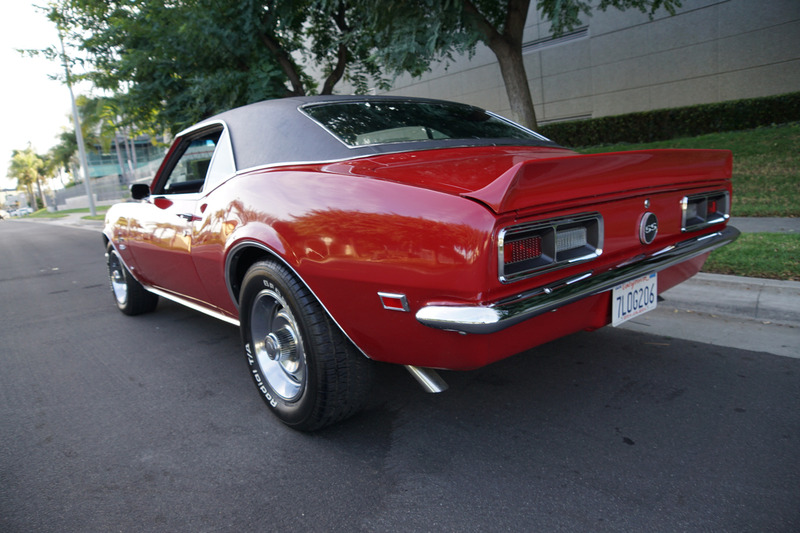 This is a great opportunity to own a beautifully frame off restored example of a '68 Super Sport Camaro in turn key daily driving condition for any Camaro or classic American muscle car enthusiast to enjoy today!